Spend the holidays in a British music hall! 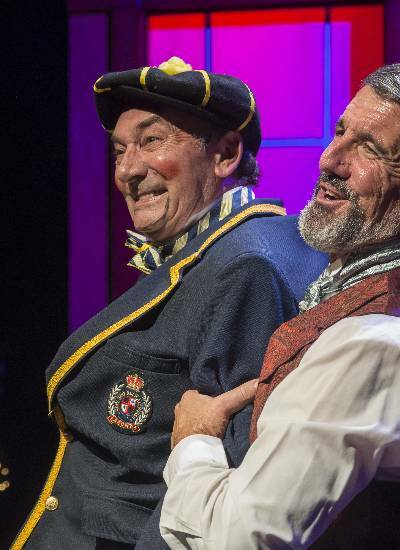 The Old Bull and Bush Public House, is alive with British music hall songs and carols, corny jokes and funny sketches, tuneful melodies, sing-a-longs AND sausage rolls! Celebrate the holidays with a fabulous cast featuring Florrie Forde, the most famous music hall star of the era, played by the inimitable Sherri Edelen and her eccentric troupe of British performers, with acts ranging from "the ridiculous to the sentimental, with a heavy dose of audience participation" (Talkin Broadway).